The 8th KONAMI Arcade Championship is coming up very soon! 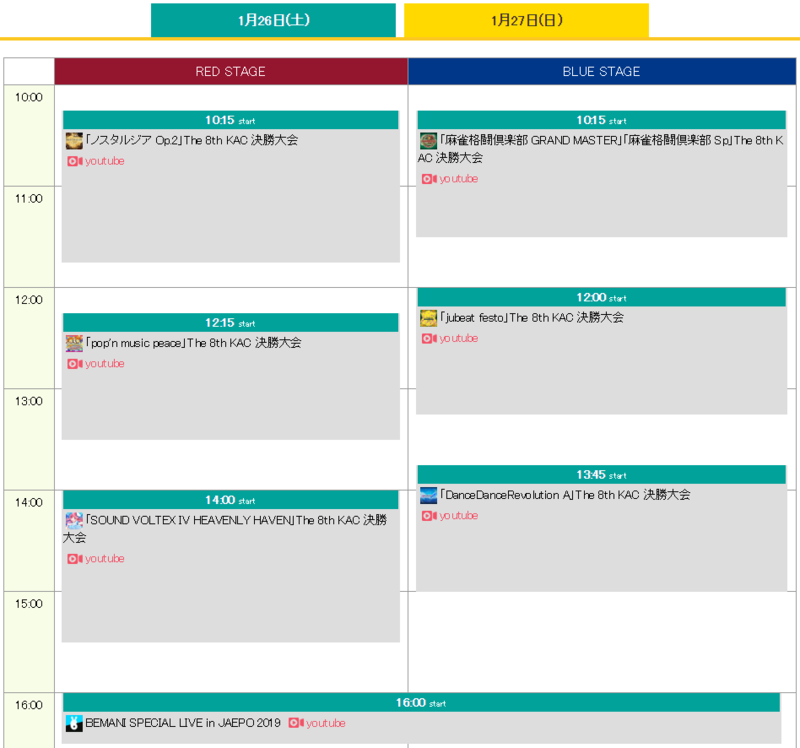 Finals begin on Saturday 1/26/2019, and DDR A finals begin on Sunday 1/27/2019 @ 1:45 JST taking place on the Blue Stage at JAEPO 2019. 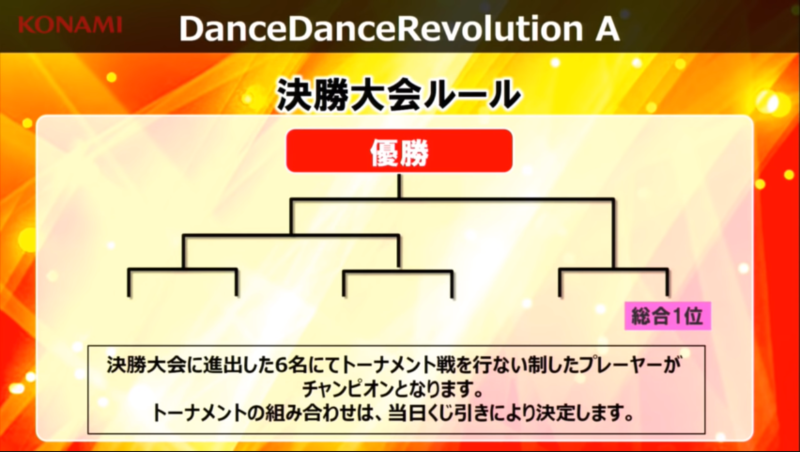 Similar to the East and West Japan Area Finals, the match rules state that each player will choose a song to play during their match, and the winner is decided by whomever has the higher total EX score. In the case of a tie, the player with the highest Marvelous count is declared the winner. Players may not choose the same song as their opponent and cannot repeat a song choice they have previously used. The biggest change will be that the finals will be played on the brand new DDR 20th anniversary model cabinet. Five of the six finalists will be randomly placed into a versus style bracket, with the world #1 seed, CHRS4LFE, in a bracket where the winner will advance straight to the grand finals match.